To speed up the disposition of 9,000 pending cases in his office and to weed out corruption is the goal of Ombudsman Samuel Martires when he officially takes over from Conchita Carpio Morales who will retire within the week. In his final flag ceremony as associate justice of the Supreme Court on Monday, he thanked all of the staff and when he faced an ambush interview, he only said that weeding out corruption is his top priority. “Yes, that is one of my priorities and when I assume office I would make the necessary announcement on what has to be done. I cannot say now because it would be unfair to the officers and employees of the Ombudsman if through the media they just learned na ito yung aking gusto [that this is what I want]. I will have a meeting with them on Wednesday when I officially assume office, and tell them what I like,” he said. He said he would ask one of the candidates for Ombudsman, Atty Edna Batacan, to identify the officials behind the "parking fee" operations, involving cases allegedly purposely delayed in the office in exchange for money. Under the law, the case will be dismissed if it took too long to be prosecuted in accordance with the accused's right to the speedy disposition of his cases. Batacan once said that she herself experienced the "parking fee". “I am not saying I will summon her. What I’m saying — I will demand from her to identify who that employee, officer of the Ombudsman is na binigyan niya ng pera [to whom she gave money to],” he said. He also said that he loathes "hypocrites". "“I hate hypocrites, you smile at me, the way you’re smiling at me now that comes from your heart, then when I turn my back you say bad things against me. Do not praise me because they always say that ‘praise undeserved is slander in disguise," he said. "Just tell me my mistakes, and I will study that. Criticize me if you have to criticize me. You tell me where I made the mistake. Even as friends, you tell me, ‘Justice mukang mali yung ginawa ninyo [Justice, it looks like what you did was wrong],'” he said. 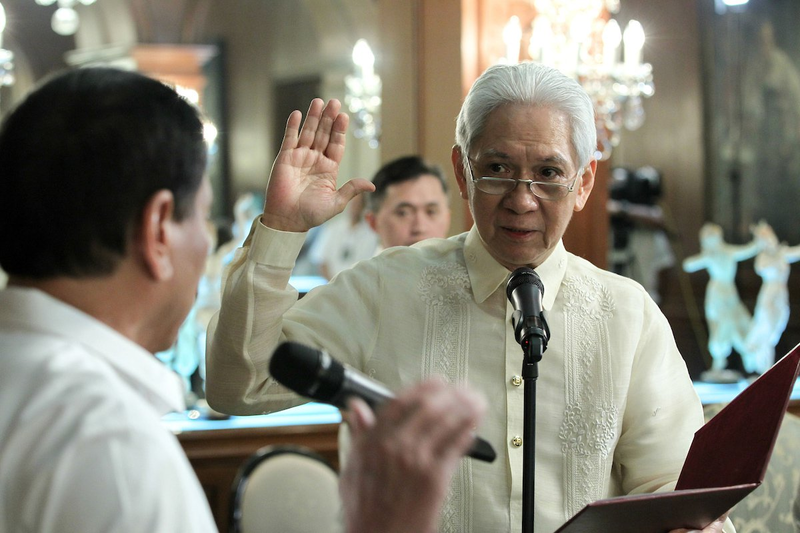 President Rodrigo Duterte appointed Martires as the new Ombudsman on July 26. “Do what is right,” Duterte said in a speech in Zamboanga Sibugay, addressing Martires. Duterte also described Martires as “strict” and “bright.” He said he expects Martires to be "fair" in the discharge of his function as the new anti-graft chief.